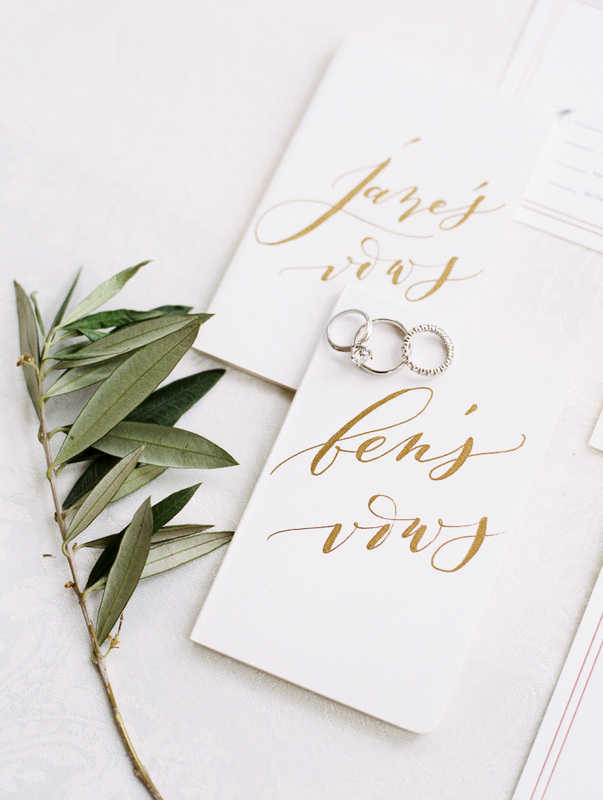 Earlier this year, Seniman Calligraphy made its one-thousandth sale on Etsy. We started our shop in late 2015 and to give you an idea of growth, we've made more than half our sales in the last 8 months. How did we go from idea to a viable business in little over a year? Products, partnerships, and marketing. Below we'll break down the three phases of sales, 1 to 100, 100 to 500 and 500 to 1000. 1 to 100 Sales. Validate the business. We started by doing work for friends and family, our first "clients". To build out our Etsy credentials, we created a listing for each job we did. We created Mother's Day cards for co-workers, Holiday cards for family, place cards for neighbors, and lucky enough to get small addressing gigs for weddings. This was enough to start building out an initial 100 sales on Etsy. As we progressed, slowly we started adding products to our shop and personal website. We started by creating hand-lettered, "His and Her" vow books. A few sold but the only problem was we were still trading time for money. It wasn't something we could create in batch. Hand-making every vow book for every order limited growth. This also limited the amount of money we could spend on advertising. We were fearful that we couldn't keep up with a rush of leads coming in from promoted listings and Facebook ads. So we held off. Things eventually started to pick up organically, but we were't satisfied yet. 100 sales later, and $10,000 dollars richer, we were off to the races and had successfully validated the business. 100 to 500 Sales. Create more products. After we eclipsed 100 sales, we threw a small party and quickly got back to work! We had to figure out a way to limit the amount of time we were spending on personalization. We needed a new a product. Something personal, but easier to manufacture, pack and ship. My wife designed a variation of our white vow books. These were grey, foil pressed vow books they key being they no longer hand-lettered. The customer no longer had the option of adding their name and date to the cover. This allowed us to quickly pack and ship as orders came in. More legwork was done up front in the form of printing and manufacturing, but well worth it. We could now stock inventory and hand a viable product to run ads against. We started with promoted listings on Etsy. The wedding industry is competitive. We needed a way to stand out! We knew we had a quality product but needed to make some noise. We also started to create Facebook ad campaigns. Facebook gave us a lot more control on who we were targeting. We targeted potential brides in the united states that we knew were looking for vow books. It allowed us to scale at a pace that we can barely keep up with. We could now validate new shipments by running ads and taking preorders. We could also spend more time being creative and thinking of new products to create. We can afford to do things we weren't able to before, for example, expedite shipping. In this phase of growth, we really found our niche in the form of a product that was low maintenance and sold well. We also started to run ads, which allowed us to scale. 500 to 1000 Sales. Rapid growth. Do more of what's working. Over the last 8 months, we've been busy! We've found our niche product and are doing more of what's working. We are continuing to run promoted listings and Facebook ad campaigns, which, in turn validates larger print orders. We can start to think at scale and can invest more money with more certainty. We've had more sales in the last 8 months than we've had over any previous stretch of time. What we've learned is to find a product that people want to buy that we can ship quickly. Create a product that we are able to advertise on social media without breaking the bank. Make sure we can handle shipment when the rush comes. What we are focusing on these days is the non-obvious, marketing tactics. Guerrilla marketing - sharing on Instagram, blogging, and networking. Also, trying to be memorable. We commonly send products to high-end photographers, give away vow books as presents and overall just try to be a voice in the community. When you make friends with photographers and help with photo shoots they are more likely to take photos of your work. We are also adding more products to the Seniman Calligraphy shop. Although we can't say for certain all of these will sell, what we can ensure is that we look professional and offer enough variety. You'll likely find that one product accounts for 90% of your sales but it's important to have variation. It's been a fun ride and we're finally starting to reap the benefits. Consistency has been key and focusing on what works is what drives success. Build a great product, market the hell out of it and overall, be a voice in the community and you will succeed. Good luck! If your interested in creating Facebook Ads to promote your Etsy business, then click Below and start creating your first Ad! Newer PostDon't just run ads, build a community!